What counts are the feelings behind…!! Don’t you think its worth keeping…!! That a gift is worth receiving…,!! Yes, its give and take..,. A smile on your face..!! Is what you can give..!! 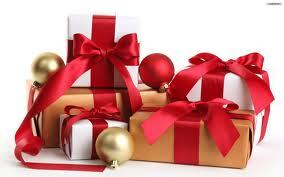 Wish life gives us more and more reasons 2 give gifts..!! On someone as special as you..!! As its meant for people like you…!! “Give cheerfully and freely. It is the energy behind the giving that matters so do not give grudgingly. The law of cause and effect guarantees that you shall receive plenty for what you give. This entry was posted in Happiness and tagged Akanksha Rastogi, birthday, birthday poem, blessings, celebrate, Christmas, coin, dear ones, depresion, Events, gift blog, gift poem, Gifts, Giving, giving gift, God, happiness, Joy, New Year, Pleasure, Poem, poem blog, poem for gift, Poetry, Quotes, rahul, rahul kapoor, receiving, reflections, smiles, wishes by Akanksha. Bookmark the permalink. Nicely said the true meaning of gifting Akanksha. The feeling of being able to gift somebody overhelms the all kinds of pleasures in this world. I have Got the Gift Thanks Akanksha.